Those of us coming from a Gentile background exploring the relationship between the Church, Israel and the Jews tend to look at it from our own Sitz im Leben, that is, by and large we focus on our responses to and views of the relationship between them. Less frequently do we explore the debate from the perspective of Jewish believers in Jesus who are themselves seeking to balance their identity as both Jews and Christians, as well as ascertain their relationship with the Church. Indeed, so complex is this issue that the current theological and cultural debate within Messianic Judaism (MJ) is becoming increasingly intense, even heated on occasion. There are various views across MJ on this issue, ranging from the well-known Israeli Reformed Protestant Jewish church leader Baruch Maoz, who would probably not even describe himself as a Messianic Jew and argues for a complete break from Judaism (he wrote a book entitled Judaism Is Not Jewish) through to Mark Kinzer, author of Post-Missionary Messianic Judaism: Redefining Christian Engagement with the Jewish People, who believes in a far greater Messianic integration into the Jewish religious community. In between these two polarised views are various mediating positions. Why is this issue important? Well, just as Christians are divided over their response to Israel and the Jews, so Messianic Jews are divided over their relationship with the Church. Does becoming a believer in Jesus mean having to ditch one’s Jewish identity? It shouldn’t, but then again, what if that Jewish identity goes beyond culture to encompass rabbinic beliefs and practices which clash with Christian theology? (My own view is that Mosaic Judaism is, of course, biblical, but some aspects of rabbinic Judaism are deeply antithetical to some of the theology of the New Testament). Thus, Messianic Jews debate among themselves the extent to which they should embrace Judaism. Indeed, it might even be asked if Judaism is central to being Jewish at all? Rabbis certainly believe so, and they command considerable influence in the aliya (emigration to Israel) process. But if Judaism is so central to being a Jew, this then means atheist Jews are somehow not Jewish at all! It goes back to old question: how does one define Jewishness? Is being Jewish a faith or a race? Thus I have met Jewish believers in Jesus who totally reject Judaism (both Mosaic and rabbinic), practicing a wholly New Testament version of Christianity. 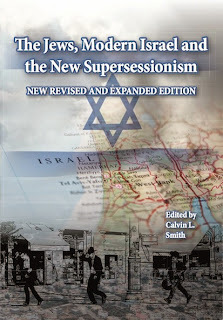 In such cases, their Zionism and Jewishness is limited to the political and cultural realms. At the other end of the spectrum I recently met a Messianic believer who refused point blank to acknowledge he followed Jesus. “I believe in Yeshua” he declared, “not this Jesus”. Now, if his view is a rejection of the blond-haired, blue-eyed, completely un-Jewish European Jesus, together with everything that has been done in his name against Jews in the last eight hundred years or so, this is quite one thing. But this man could not even bear to use the word 'Jesus', which he regarded as traitorous to his Jewishness. Leaving aside how Jesus (Iesous) is merely a Greek translation used in the writings of thorough Jewish New Testament authors such as Paul, one can see how identity here threatens to become the primary issue. Yet neither should Jewish believers suddenly be expected to ditch their Jewishness when they become believers in Jesus, as if all of a sudden they are no longer Jewish and must become, to all intents and purposes, Gentiles in culture and theological expression. Indeed, this was not the case for Jewish Christians of the New Testament , who were thoroughly Jewish. So next time you consider your response to Israel and the Jews, regardless of where you stand on that issue, consider how this whole issue is also currently being played out within MJ, because it seems to me the issues are related, and any thoughtful, biblical, and theologically sophisticated response to the one will have a bearing on how we view the other. One thing is clear. It is a deeply sensitive issue which threatens to cause considerable division among Jewish believers who should be united in Christ. I understand Richard Harvey, a Messianic Jewish leader and theologian based at a British theological college, has recently mapped out the various expressions of MJ. I know Richard, though haven't yet read his book. But some of the issues MJ is currently wrestling with fascinate me, especially as they have a bearing on some research I'm doing for my next book on Christianity, both Arab and Jewish, in the Holy Land. If Harvey's book is as good as several people have suggested to me, then this may be a very good starting point for those of you interested in exploring further the current debate going on within MJ. "Baruch Maoz, who would probably not even describe himself as a Messianic Jew and argues for a complete break from Judaism"
In Harvey's book he notes that Maoz gave permission for him to be considered a Messianic Jewish theologian! In Hebrew he calls himself Yehudi Meshichi, not Notzri, the pejorative Hebrew word for a Christian. That's interesting. I'll ask Richard about that. My comment is based on my own interview with Maoz. He highlighted problems with MJ's presentation of the Gospel. He also said: "I do not believe ethnic identity should have played the role it does play in churches worldwide", going on to ask how the Church had reached the stage where churches were ethnic enclaves rather than mixed congregations.